In the Summer of 2013, a group of self-advocates attended an advocacy event where one of the participants went up on stage and started dancing. His dancing was so infectious that it started a chain reaction of people getting up on stage and dancing with him. One of the staff at the event saw this young man dancing and thought to herself, "Wow, he's really talented". The staff was inspired to share this story with her co-workers, which then planted the seed in Candice Keem that lead her to conceive the idea of providing an outlet to showcase the talents of people who have a developmental disability in our community. Candice's vision was to not only to host a talent show, but to create an event that will break down sterotypes and prove that people who have a developmental disability are strong and have many talents despite the obstacles they face in society. That vision became a reality in Spring of 2014. The first show was hosted at Appleby United Church with ten acts. The show boasted talents of all kinds - dancing, singing, poetry, acting, and more! The concept of the show is based loosly off "America's Got Talent" with 5 local celebrity judges including self-advocates of Community Living Burlington. The talent show also provided an opportunity for people to live out their dreams on stage. The event was a huge success as families and friends watched with beaming smiles and proud hearts. Each performance impressed the audience with their talent, bravery, and ability. The display of talent from the performers, along with the support of our passionate community, proved that this show was not only entertaining but an inspiration for all who attended. It was so successful that Community Living Burlington hosted our second talent show in Spring of 2015 with a sold-out performance. 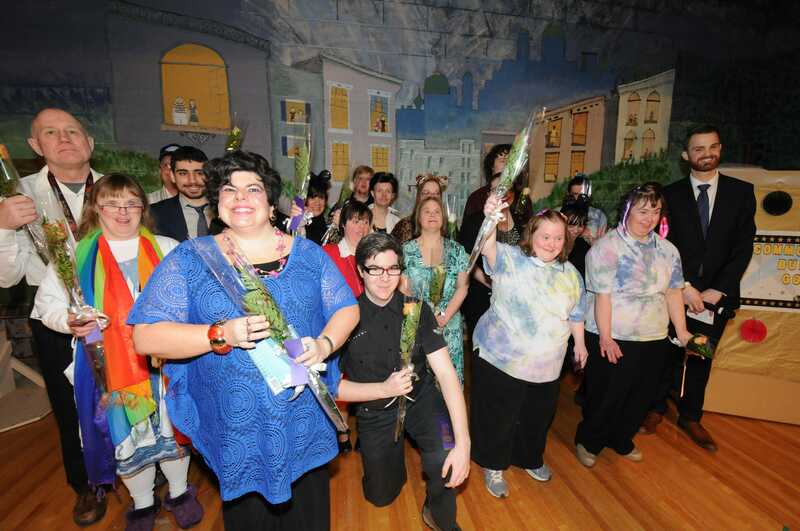 Although the shows were a success, we realized that the majority of the audience were family, friends, and staff of Community Living Burlington. We wanted to broaden the scope of attendance and awareness to the greater community so our next step was moving the event to a larger and more pretigious venue (Burlington Performing Art Centre) where the people we support can showcase their talents in a grander style. Last year, we hosted Community Living's Got Talent for the first time at BPAC and it was a huge success! Our community were able to see the creative talents of the people we support and we raised over $25,000 in net proceeds for Community Living Burlington. All proceeds went back to creating new opportunities for the people we support. Fast forward to 2018, Community Living's Got Talent is now one of our organization's new signature fundraising event. This is our opportunity to show the community that "YES WE DO" have talent, "YES WE DO" play instruments", "YES WE DO" learn choreography, "YES WE DO" sing, "YES WE DO" have the ability to be brave and shine despite the barriers we face on a regular basis. Community Living's Got Talent will have participants from all over the GTA/Halton/Niagara area who have a developmental disability. We hope that this event will inspire our community in the way that we are inspired by the people we support every day. Please join us on Saturday, September 22nd, 2018 at the Burlington Performing Art Centre for Community Living's Got Talent "YES WE DO!" Pictures from previous talent shows.